Ruby 2.2.4 is a dynamic, object-oriented programming language.We are using RVM, which stands for Ruby Version Manager. RVM is a command-line tool which allows you to easily install, manage and work with multiple ruby version of Ruby without conflicting. Also as per our requirement, we can switch the Ruby version very easily. 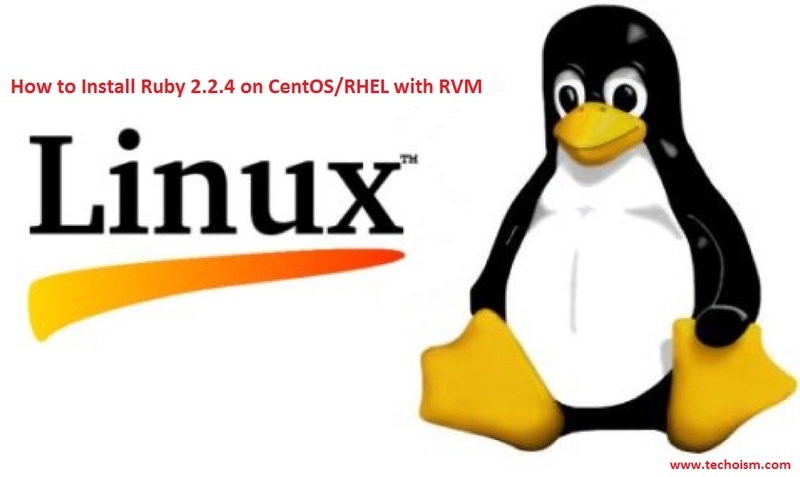 This article we will explain you to How to Install Ruby 2.2.4 on CentOS/RHEL using RVM. Use rvm command to setup default ruby version to be used by applications.